I love Easter. It’s not just the spirit of Resurrection and joy that I feel. Those feelings are the most important. But I also love the secular side of the holiday. Bunnies and Easter baskets and eggs. And treasure! I remember how exciting it was growing up hunting up Easter eggs. This is a nice twist on the tradition of just finding eggs. 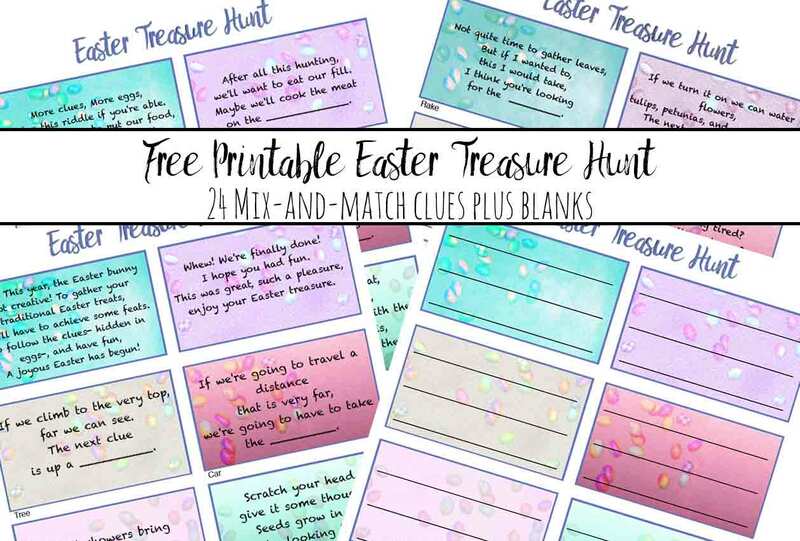 Do this in addition to or instead of a traditional Easter egg hunt. 3 ways to do the treasure hunt. You can either put a little bit of chocolate in each egg (and maybe a small basket at the end). 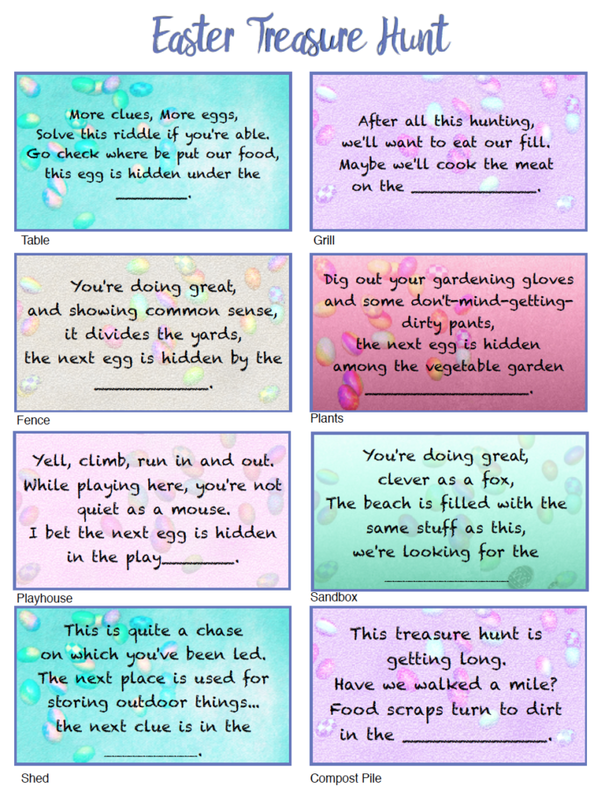 Check out the printable gift certificates for kids (egg-changables!) in my other post. Less candy! 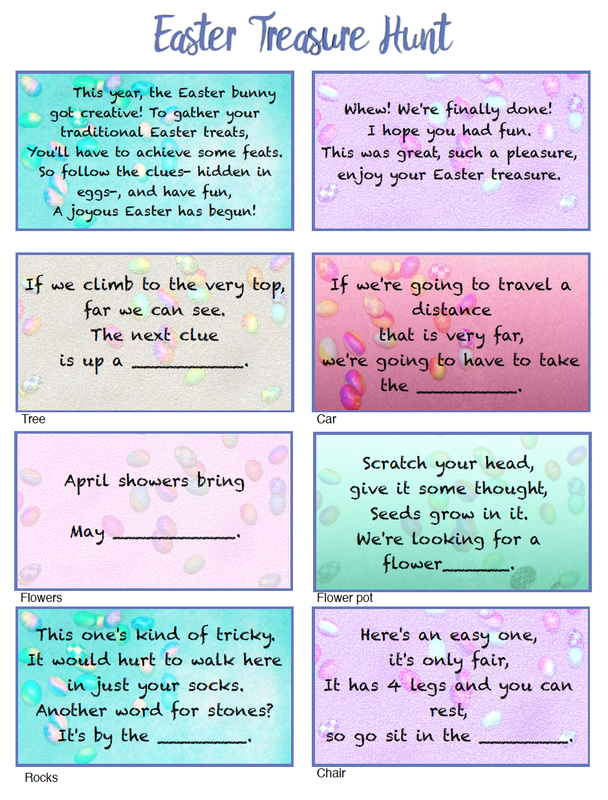 Put a “gift” in each egg along with the next clue. While I’m sure you can figure out the clues, I typed the answer underneath just in case. The first and last clue are on the top of PAGE 1. Put your first clue of choice along with the “intro”. Since not everyone will have everything in the clues (shed, etc. ), the clues are mix-and-match. 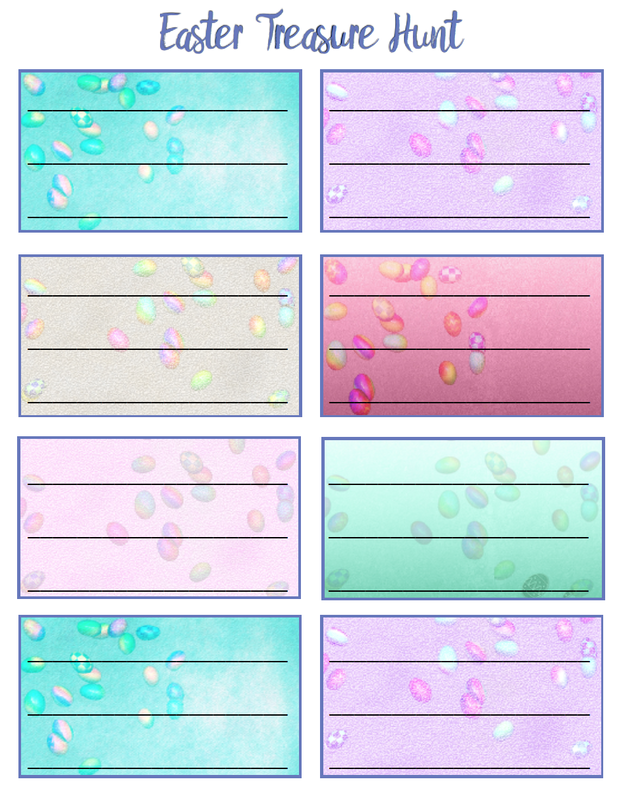 I also did a page of blanks if you want to make up/add your own. • Print options: regular paper works, but I suggest card stock if you want them to be a bit sturdier. Page 1- Has the FIRST and LAST clues for the treasure hunt. 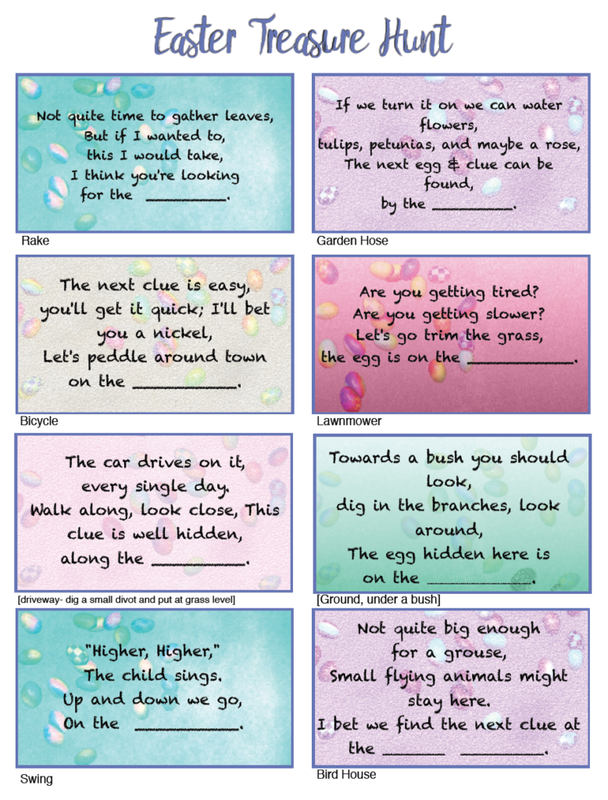 Clues for tree, car, flowers, flower pot, rocks, & chair. Page 2 of clues: table, grill, fence, plants, playhouse, sandbox, shed, & compost pile. Page 3. Clues for: rake, garden hose, bicycle, lawnmower, next to driveway, under a bush, swings, and birdhouse. Page of blanks. Fill in your own.